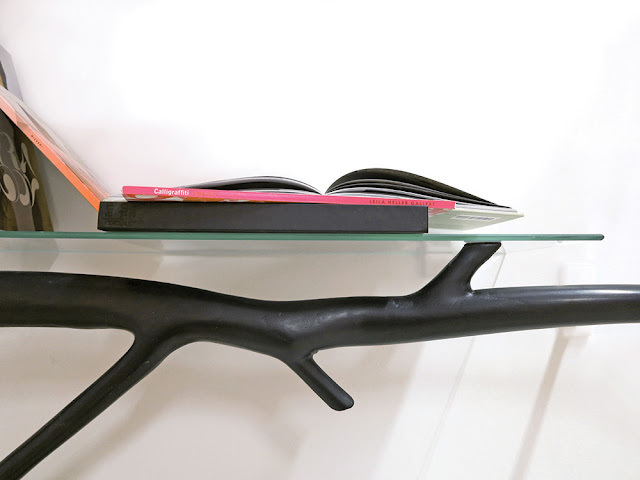 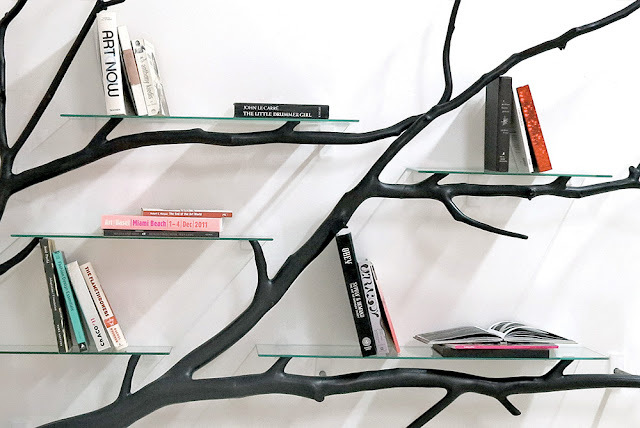 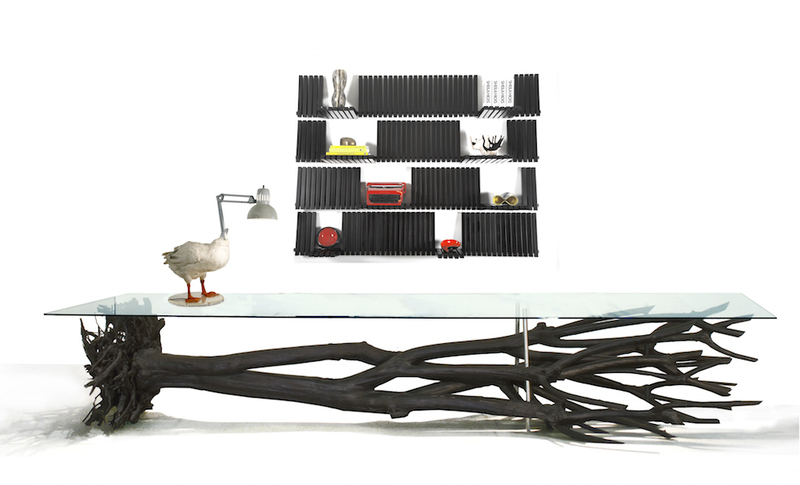 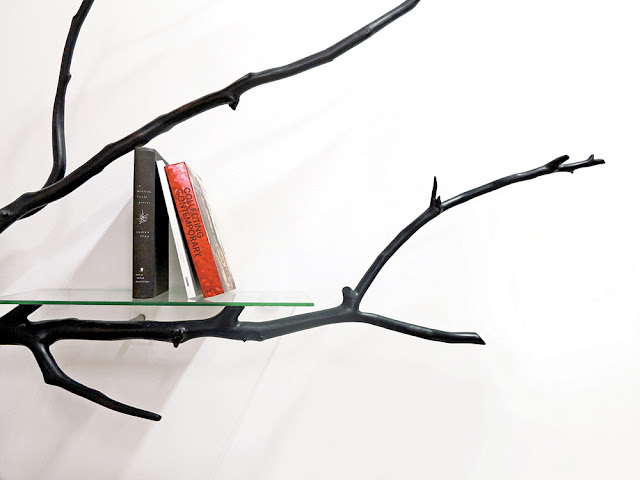 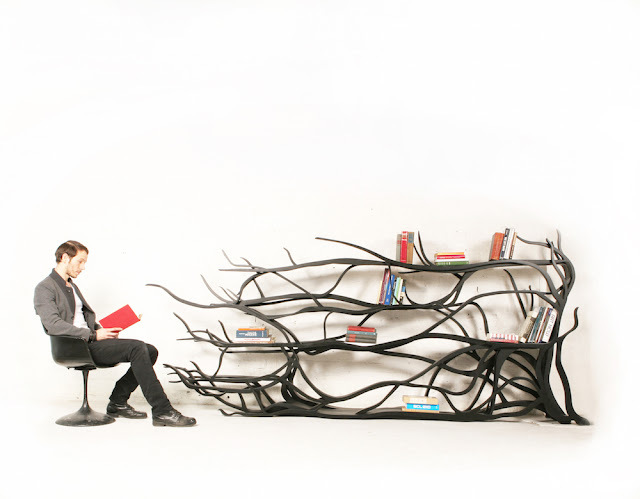 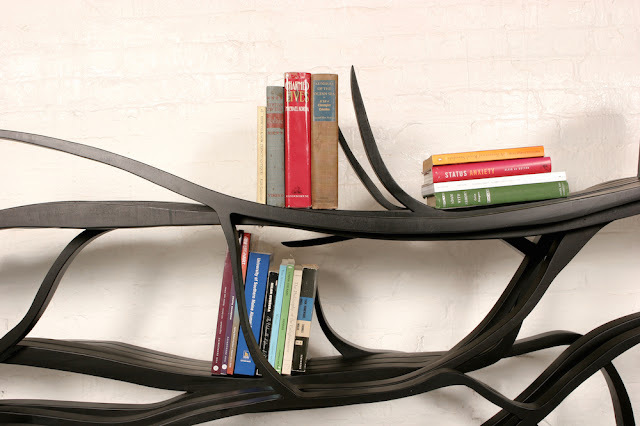 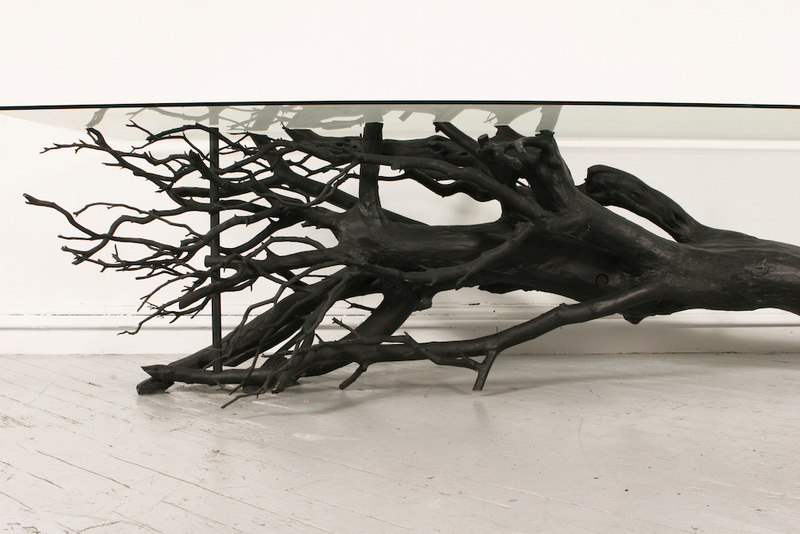 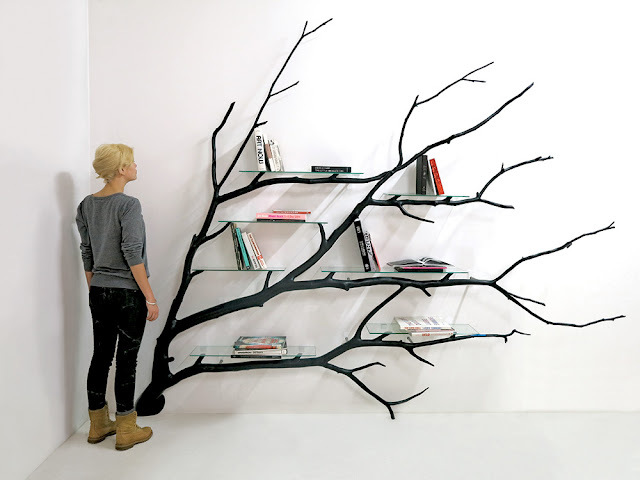 Artist and designer Sebastian Errazuriz allows natural form to dictate his furniture design, building shelves and tables that conform to the tree structures that inspire his work. Highlighting the tree’s shape as focal point, Errazuriz keeps his designs simple, placing only thin panes of glass to add the functionality needed for shelves or tabletops. 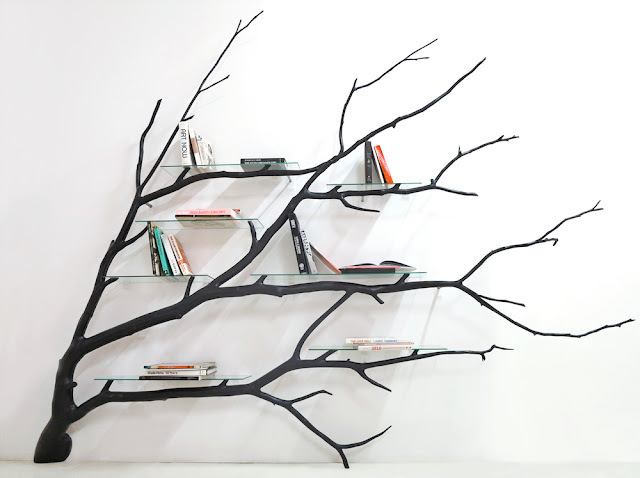 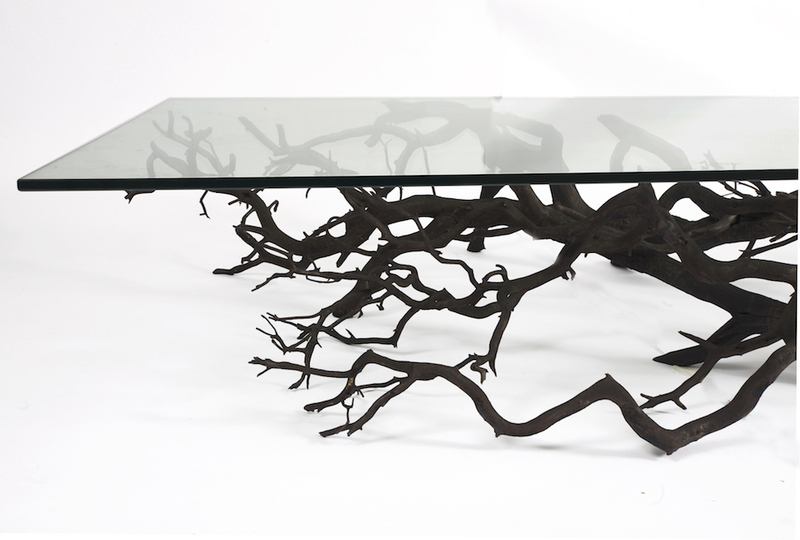 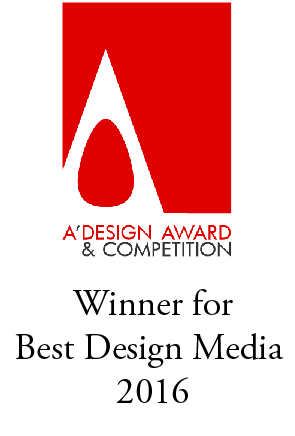 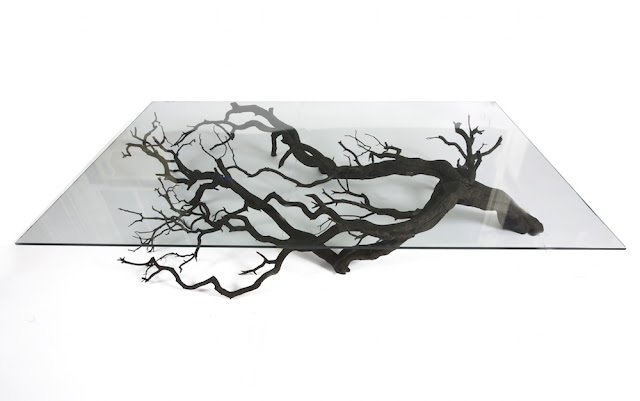 The trees he incorporates into his designs are sourced from forests in South America, readapting their fallen branches while keeping the integrity of trees’ original shape.